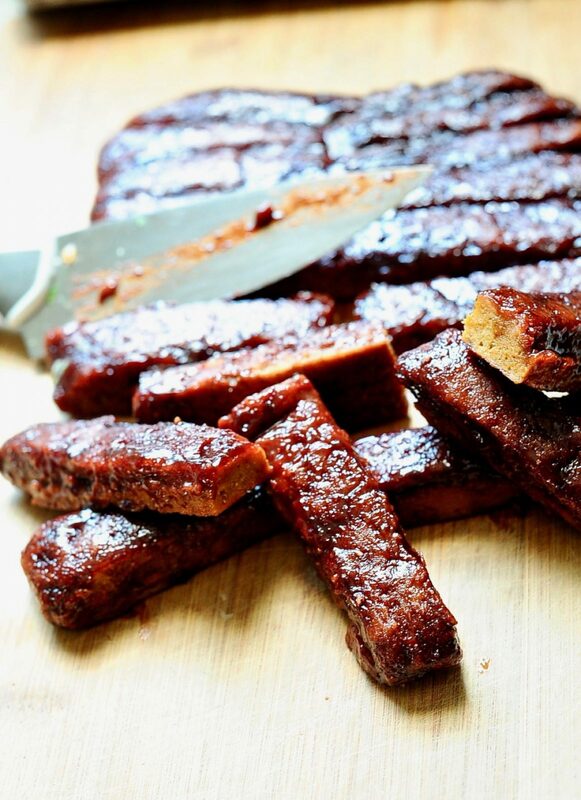 Bbq Vegan Ribs with Sticky Tamarind Bbq Sauce will please even the most committed meat eater! 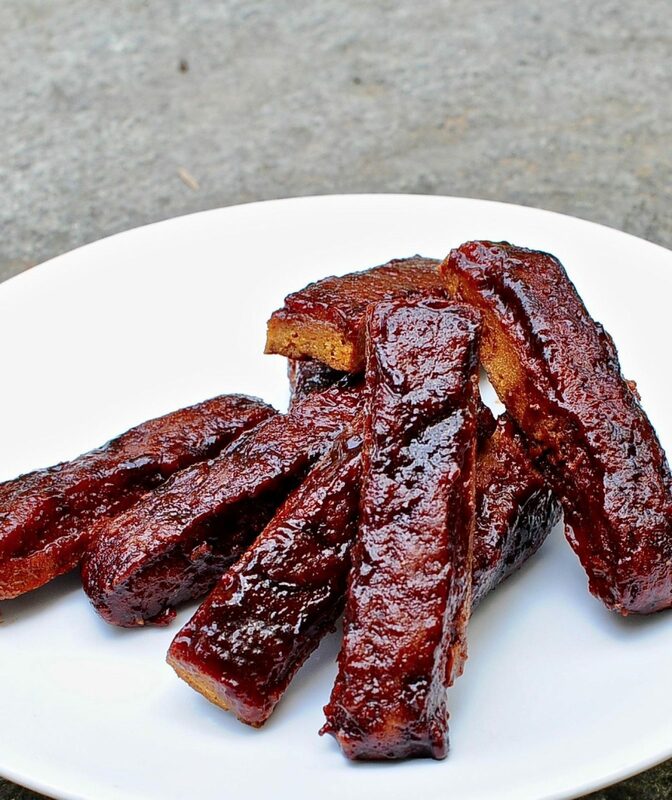 Toothsome, mouthwatering, and protein rich these vegan ribs are simply delectable. Celebrations in my family meant sticky Ah-So Bbq sauce coated ribs, a huge pot of sweet corn and baked sweet potatoes on the table. Can you guess which of those I hadn’t tasted in years? Hint: I’m vegan. Yes, the ribs. Good job. 10 points for Gryffindor. Truth be told I am a Hufflepuff at heart but I assume that if you understand the reference you are probably a Gryffindor. –Harry Potter and the Philosopher’s Stone. When I came home from three long years away from home with my new boyfriend (now husband) in tow I knew exactly what my mom would serve. I also knew that she would place a freshly laundered Tree of Life table cloth on the kitchen table and that she would be wearing the richly embroidered beduin dress we bought together in market in Beer Sheva. I have been working to create vegan seitan Ribs or Ribz, as the cool kids write, for quite a while. 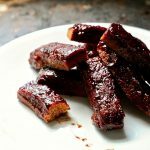 Last week I had the inspiration to add chickpea flour to the ribs to make them more toothsome and presto chango the perfect vegan ribs were born. 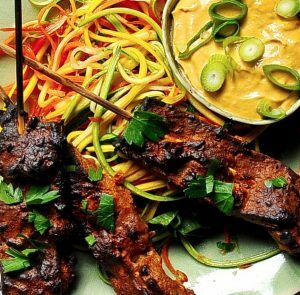 Or maybe you’d like my Seitan Satay with Spicy Peanut Sauce. 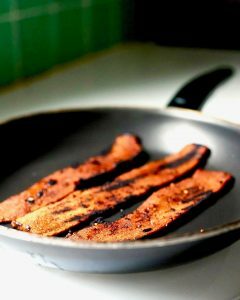 I am totally obsessed with this Smokey Maple Seitan Bacon. 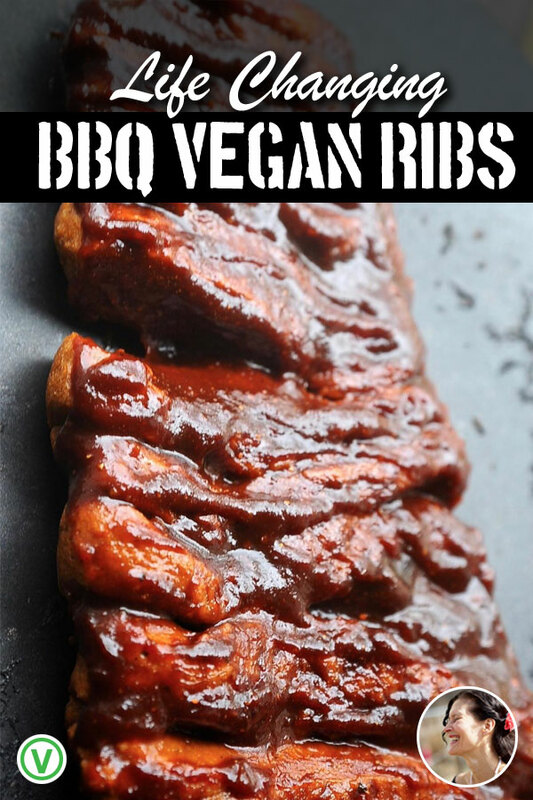 Sticky, smokey, toothsome Bbq vegan ribs that fill that spot in your tummy reserved for down home vegan barbecue. These can be made on the oven or brought to your next Bbq and finished on the grille. Place the ingredients from peanut butter through chick pea flour into a mixing bowl. Give them a good stir. Now pour in the hot veggies broth and stir until smooth. 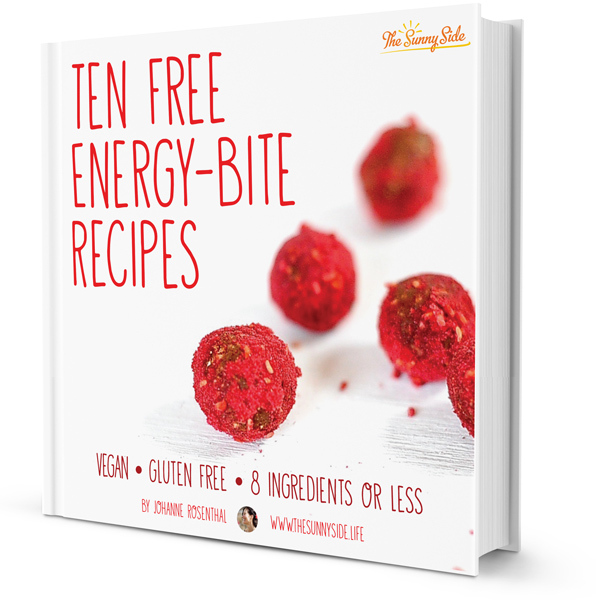 Pour in your of vital wheat gluten (1 1/2 cups and 2 tablespoons). Stir until a ball of dough is formed. Remove from the bowl and give it a good 4-5 minute kneading on a lightly floured board. Line a 9X11 inch pan with aluminum foil using enough foil that you will be able to fold over the extra and encase the ribs like a packet. Lightly oil the foil. Press the seitan onto the foil until you have a rectangle of dough that finds the pan. Or make the ribs fatter and only fill 2/3 of the pan. You decide. Now score the ribs with a knife, cutting half way through the ribs to make them easy to separate. You are perforating them. Bake the ribs covered tightly in foil for 30 minutes. 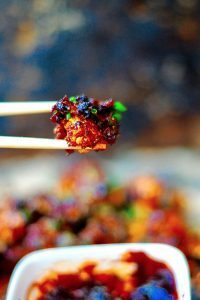 Uncover and brush the top with Bbq sauce, fit them, carefully they are hot, and coat the other side with sauce. Bake for another 15 minutes until a bit charred. Or if you want a real treat bring these to your next Bbq and throw them on the grill. They will just need 6 or so minutes on each side to be charred to perfection. Place all of the sauce ingredients into a medium sized sauce pan over medium heat for 15 minutes, stirring occasionally, until thick. Taste the sauce. Tweak according to your preference. You are good to go. Andy and I were wondering what to make for Labor Day weekend—may still make veggie burgers on the grill one day, but will definitely make this one of the days. Probably with potato salad and coleslaw. We don’t usually buy OJ—it lost its allure when we learned how commercial OJ is made—guess we can just squeeze an orange to get 1/3 of a cup. It’s funny—I almost never want to conform (at least just for the sake of conforming) and think I’m atypical in so many ways. Would never be considered an “average” American, if there really is such a thing (well, there seems to be in some people’s minds—a very rigidly defined one, but we won’t go there). I guess most of us vegans are outliers, at least in our diet. With me, it goes beyond that—I don’t like TV shows/music/movies/leisure activities or inactivity that most people enjoy. But when it comes to holidays, it seems that I do want to have something that kind of correlates with how other people celebrate, albeit healthier and with no animals sacrificed. This will fill that yearning! I believe there is that tribe yearning to connect and “belong’ even for those of us who don’t follow the traditional paths. 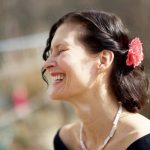 Holidays and celebrations are great time to connect or you run the risk of feeling left out..
Carolyn, thank you or visiting! Welcome. Johanne, I hope you see this today or tomorrow. In looking at the recipe to make for tomorrow, it lists 1/2 a cup of chickpea flour but never says when to add it. To the vital wheat gluten? Ellen I fixed my error in the recipe proper. Thank you for the catch!!! 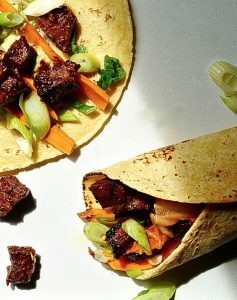 This does sound good, but doesn’t the seitan get rubbery if you use hot liquid? Good question. Since the hot liquid is added and stirred together with all the other ingredients first it cools down enough not to be a problem when you add the wheat gluten. I wanted a recipe that made the peanut butter easier to incorporate (without using a blender) and also “cooked” the chick pea flour a little before adding it to the dough. The ribs were tasty. We have some left over and we are looking forward to baking them some more—get them a little drier/chewier/crisper if possible. I haven’t had ribs in over 30 years, but I remember them as being kind of dry. With those modifications I will be deliriously in love with this. Thanks so much. Served it with turnip greens and homemade vegan potato salad. I just made these and the sauce is incredible! The only thing I found was that my seitan has a very “bready” texture. I followed the recipe exactly, is this how it’s supposed to come out? I’m glad you loved the sauce. Homemade seitan is a little “bready” but try you kneading it longer for a meatier texture texture. Colleen, What a good question! Did you mean calories? Macros? Or everything from sodium to grams of sugar? You can bet your bottom dollar you’ve never had ribs as rich or smokey in your life. 10/10. What type of chili sauce did you use..sweet or like siracha? WOw, these are so delicious! Awww I’m glad you liked them! 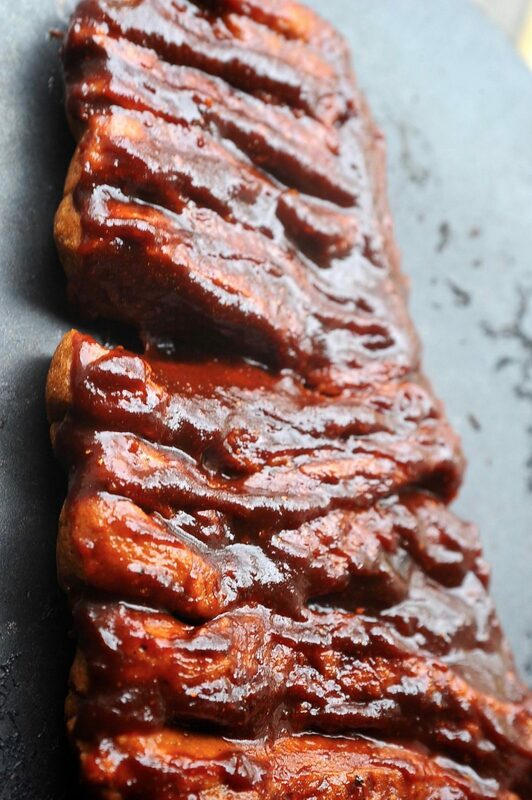 I’m making these ribs this weekend as a “tester” prior to bringing them to a work BBQ. I’ll cook them at home, then bring them to work to throw on the grill. About how many ribs does this make, and how do they fare on the grill? They do great on the grille. The amount depends on how narrow you cut them but in general I’d say between 12 and 15. Have a great day!